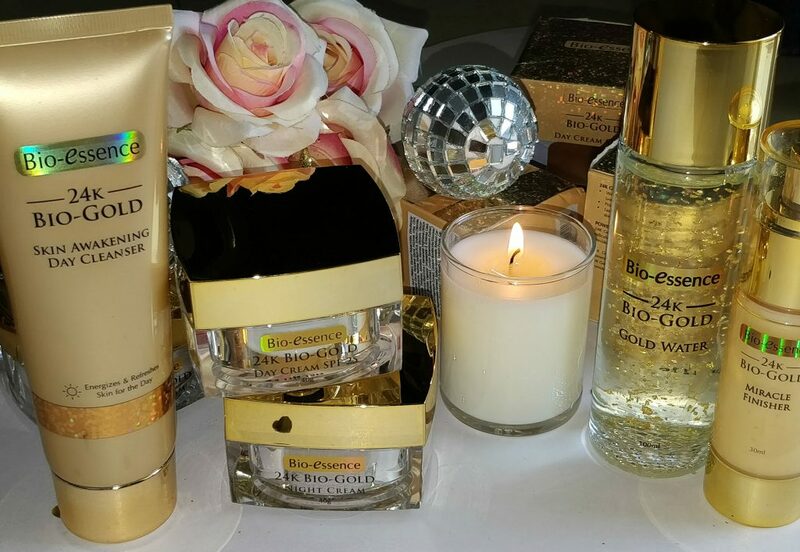 ‘Colloidal gold’ in skincare products have become one popular ingredient lately. Talking about Gold, Well, it’s so much more than the precious metal. 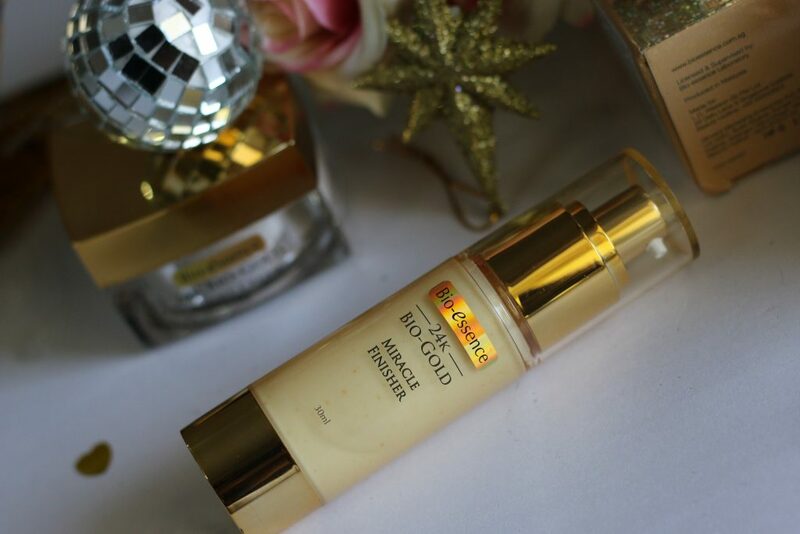 Colloidal gold, is a anti-ageing ingredient with proven anti-inflammatory and skin rejuvenating properties. 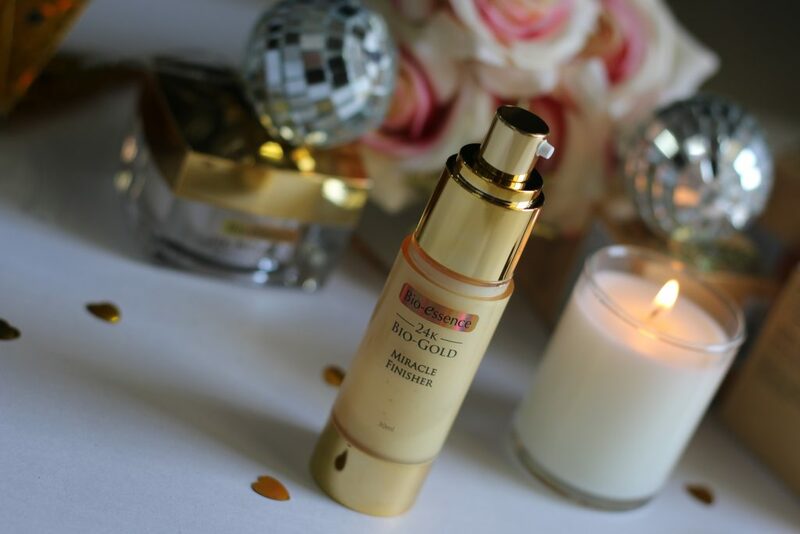 Colloidal gold is known for its ability to heal microdamage, making it an ideal skincare ingredient for those with sensitive, sun damaged and acne scarred skin. 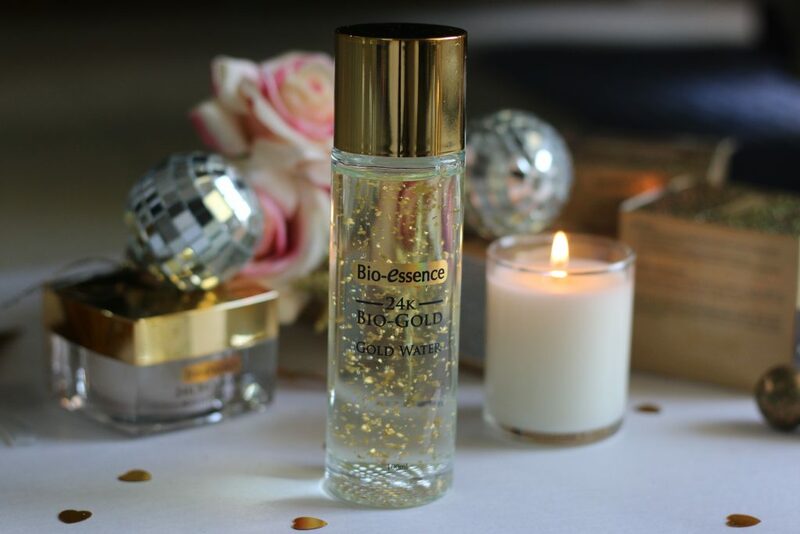 Since gold is in the form of nanoparticles, it can penetrate the cell membranes making it an effective ingredient against the signs of aging on a cellular level. 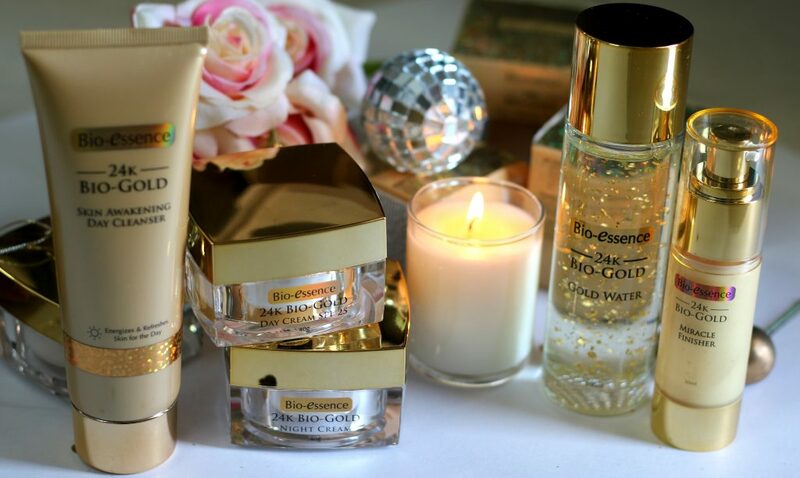 I love skincare products that are packaged in Gold. I think packaging plays equal role when I select any kind of product. I was totally amazed at how perfect these looked when packed as stocking stuffers. 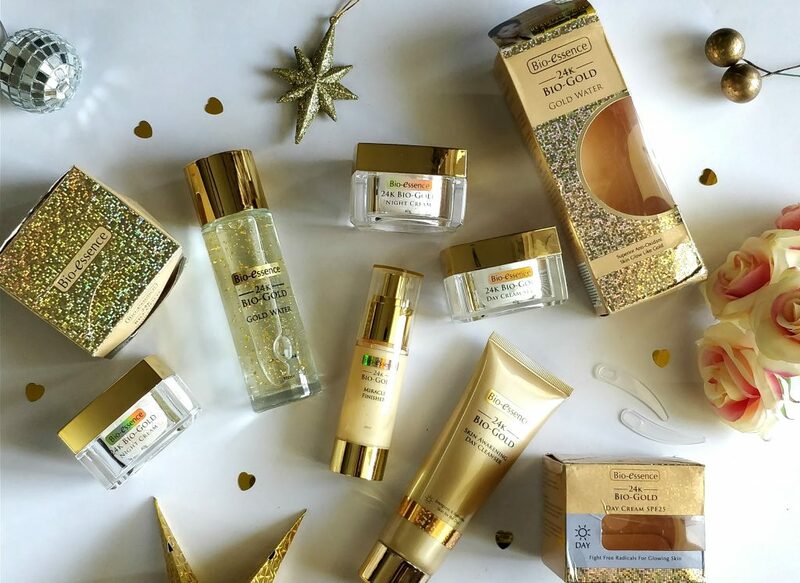 These are a perfect gift idea to anyone who is a sucker for gold packaging like me. 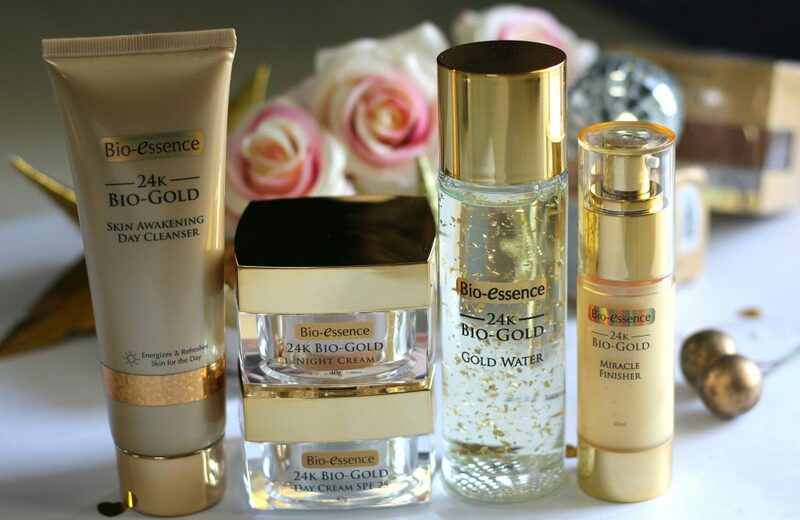 All thanks to wonderful team at Bio-essence for sending these fabulous 24K Bio-Gold skincare range to me. 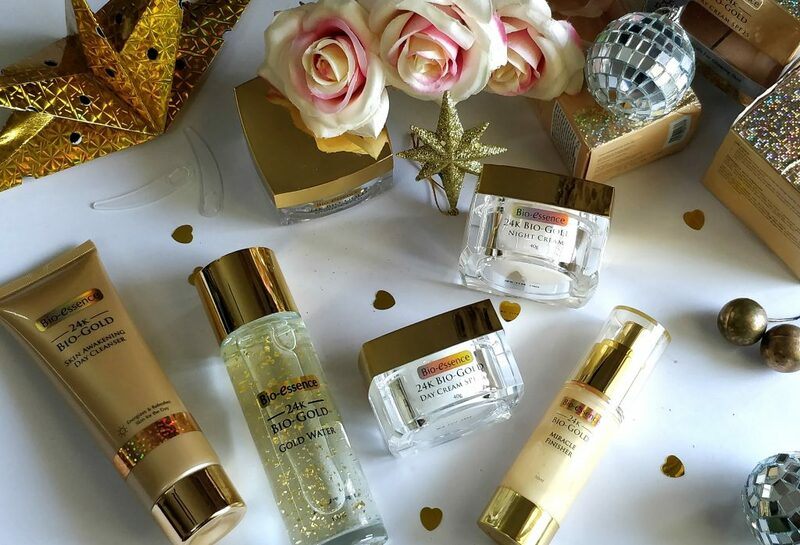 There are a total of 7 products in this range out of which I was provide with 5 products. 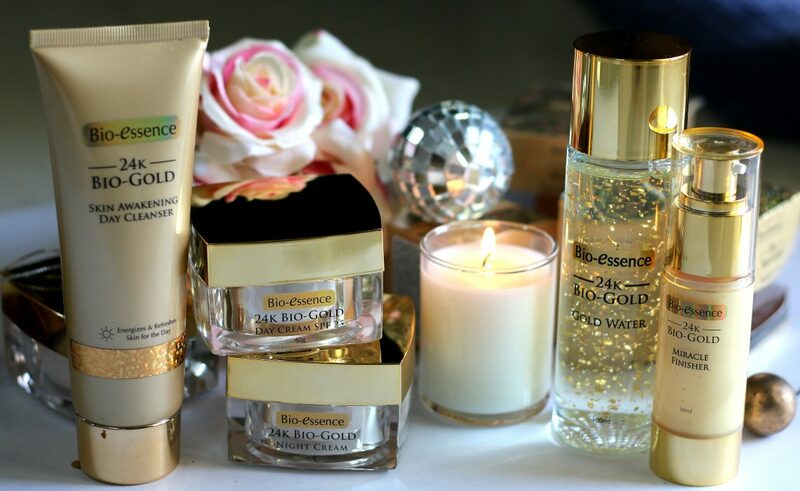 Bio-essence products are available in the UK ; Exclusively at the Super Drug stores. 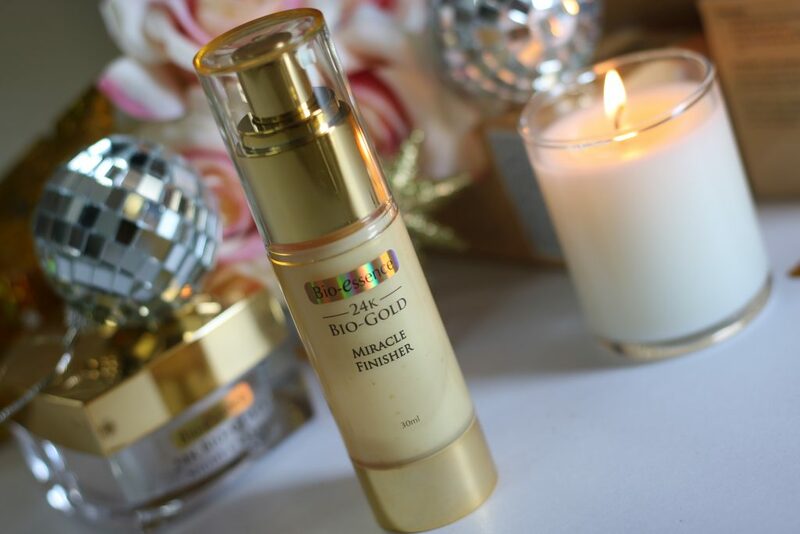 Best part about this miracle finisher is that it protects skin against harmful makeup and pollutants; Forms an invisible protective layer over skin to hinder pollutants and helps prevent harmful cosmetic ingredients from having direct contact with skin, thus reducing skin irritation and clogged pores. It gives a matte finish creating the perfect canvas for better makeup application and adherence. The primer serum has a smooth-velvety texture that applies smoothly onto the skin. Serum is white in color. However, it looked like a pale golden in the tube, with tiny flecks of gold. What I like about this one is that , It sinks into the skin very quick. No sticky or greasy feel on skin. feel sticky and it leaves the skin feeling smooth. 2 pumps will over the entire face and neck area. Sit well underneath makeup. 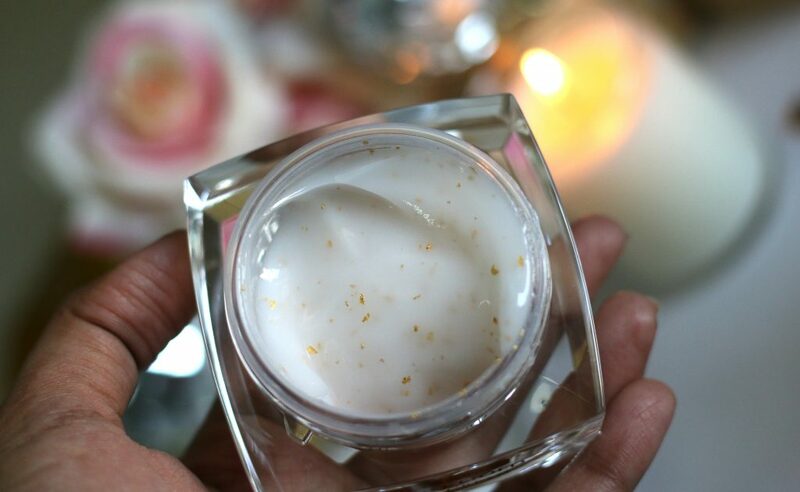 It refines pores and overall, skin felt hydrated too. It smoothes skin to give the skin a matte finish creating perfect canvas for makeup. Please note this must be applied as a last step to your skincare routine after putting your moisturiser. Overall, I feel ‘The Miracle Finisher retails at £29.95 for 30ml of product is an expensive price tag for a primer. But, when you compare this to other matte primers available such as hourglass or benefit – It’s expensive. It is also available online. Exclusive on superdrug. They will have promotions all day. I hope you are able to gran one. 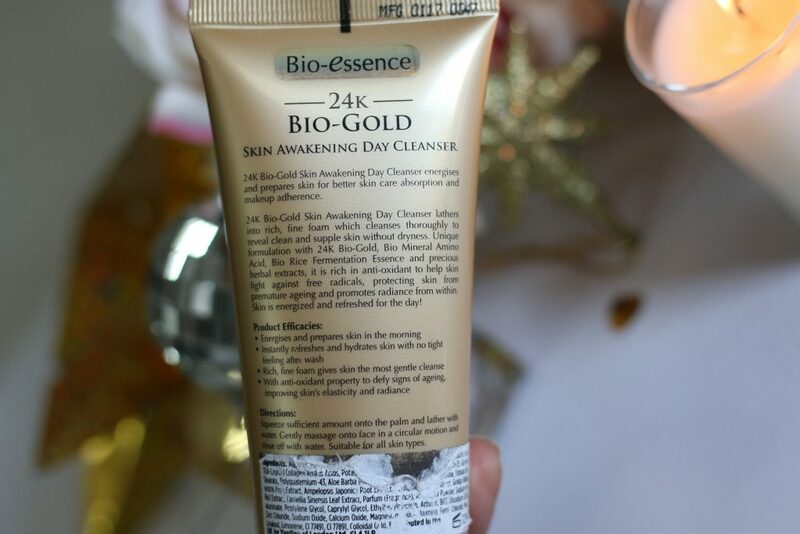 24K Bio-Gold Skin Awakening Day Cleanser is a everyday face cleanser that lathers into rich, fine foam which deep cleanses the face and neck to reveal a cleaner, radiant and supple skin without dryness. 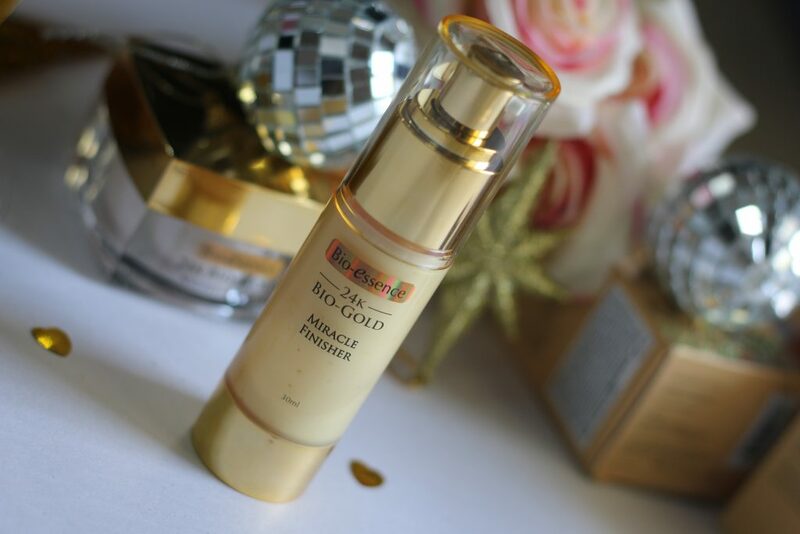 Has a unique formulation with 24K Bio-Gold, Bio Mineral Amino Acid, Bio Rice Fermentation Essence and precious herbal extracts, is rich in anti-oxidants to help skin fight against free radicals, protecting skin from premature ageing and promotes radiance from within. 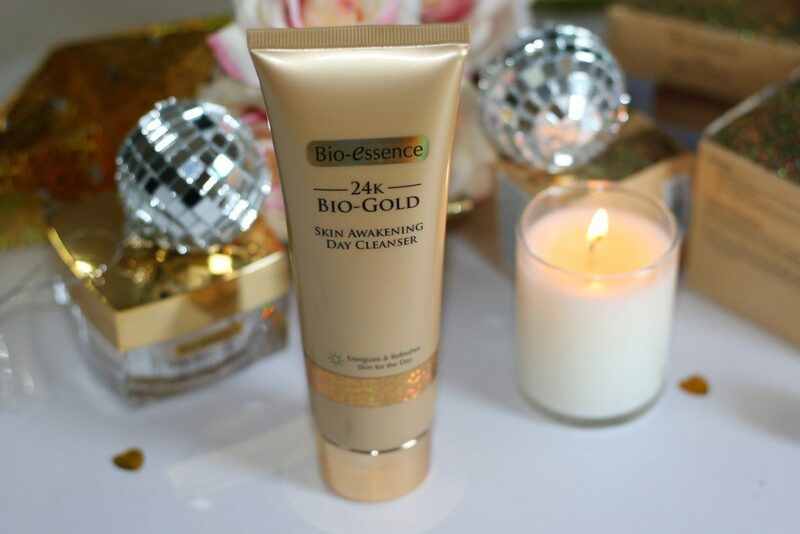 Overall, It’s a feel good cleanser; Perfect for double cleansing the face after removal of makeup. Suits every skin type as it don’t make skin dry. Along with my clarisonic mia 2 I use this cleanser to wash my face during night. I love how clean and hydrated my face feels after washing off. Even in harsh winters, I never felt that this cleanser made my skin dry etc. This cleanser foams when in contact with water; I love the rich cream lather. Using my clarisonic I massage it into my whole face and neck and all makeup literally melts away. I used it as the last step(double cleanse) of my makeup removal routine. 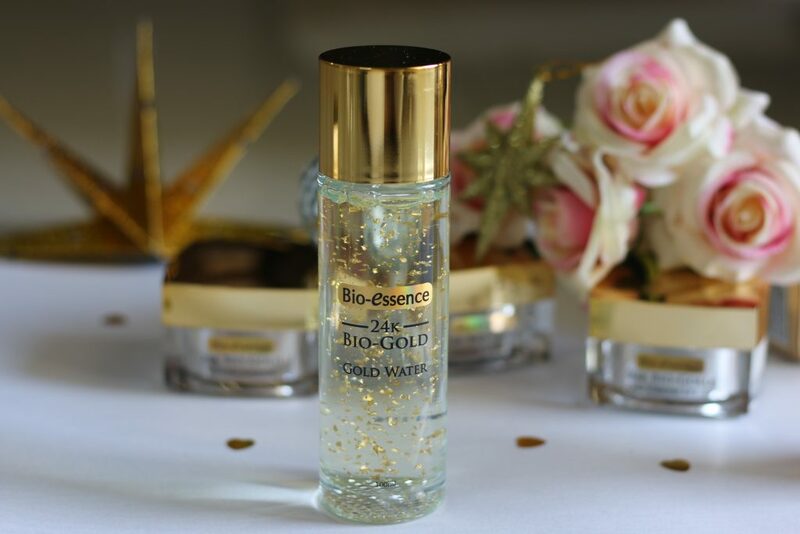 Bio-essence 24K gold water contains flakes of real gold and it help to tighten skin, reduce pores, firm, energise and illuminate along with many other amazing qualities. I love to use this everyday twice as a second toner after my regular cleansing and toning routine (my first toner is always Pixi) in the morning and the evening. I take few drops of it to my finger tips and apply it press it to my face. The packaging is a glass bottle, its heavy, looks so high end for a price of £16.99. Some might find packaging heavy without a dispenser. I never had a problem in taking the right product every time I wanted. 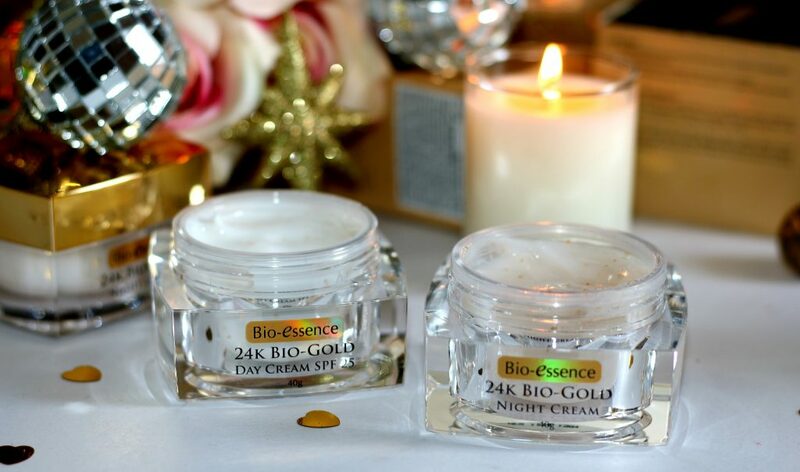 The product gets absorbed into the skin rapidly leaving little time for stickiness. Texture of this is like a slightly watery gel type with gold flecks. Applies like any other essence.Than massaging, I pat it on my skin till the gold flakes disappear and get absorbed in the skin. Overall, It’s a feel good product. applies easily, sinks into skin quick. Skin definitely appears plump and hydrated. On touch, skin feels soft and smooth. It leaves a glowy dewy finish. 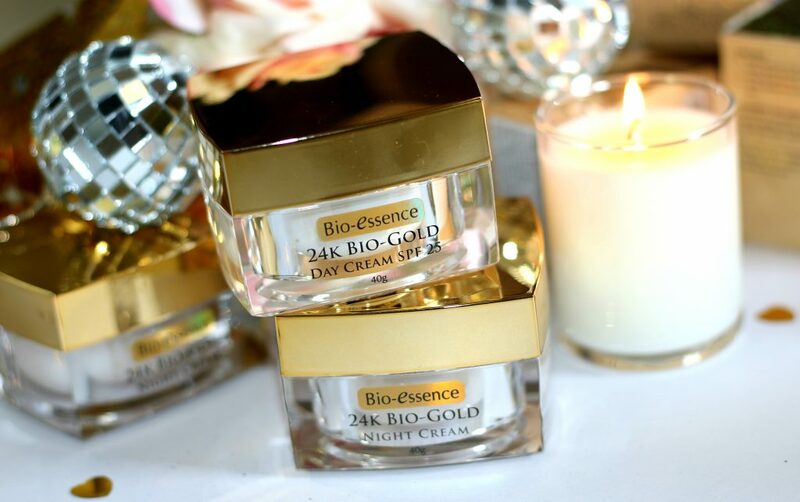 I absolutely love how luxe the packaging of these creams look. Totally pretty ! perfect Stocking fillers. 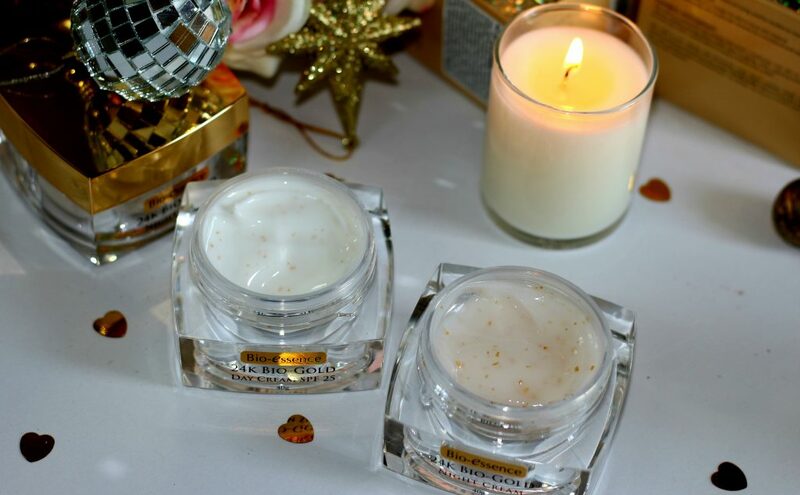 Texture of this day cream is very light weight and it has gold flakes in it. A spatula comes with the cream. 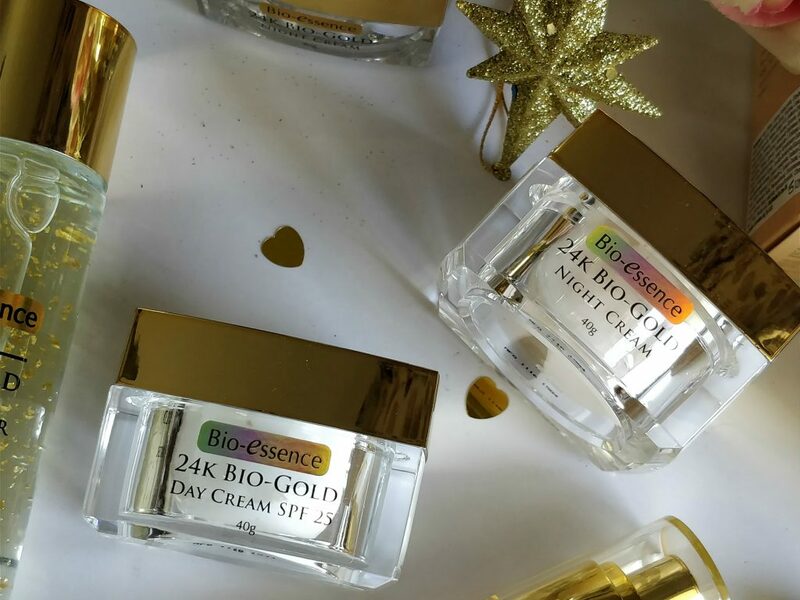 Upon application on skin – This day cream feels very luxurious and rich. 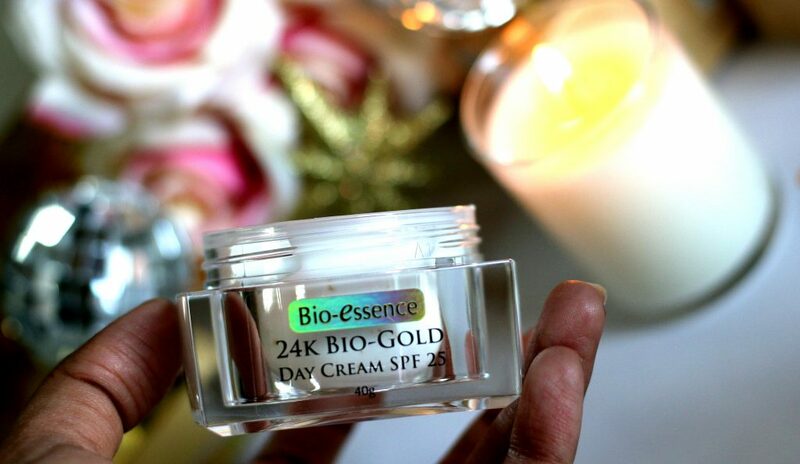 I love the fact that it contains SPF25; SPF factor is very important when it comes to day wear creams as SPF protects against sun damage which can cause wrinkles and also protects against hyper-pigmentation. Both day and night cream feels very good on skin. I like the fragrance and also it absorbs quick on to the skin leaving skin plumped and hydrated. Overall, I like both the creams. 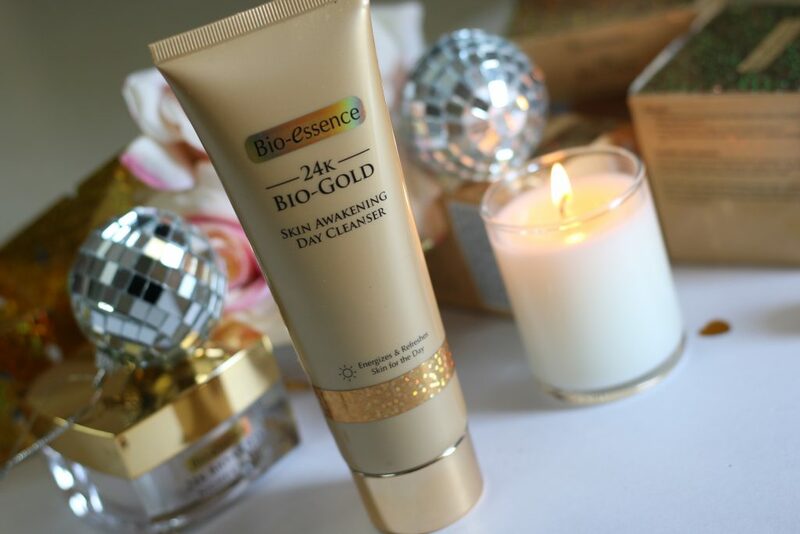 With high anti-oxidant power, 24K Bio-Gold Day Cream gets easily absorbed by face and neck to fight free radicals. 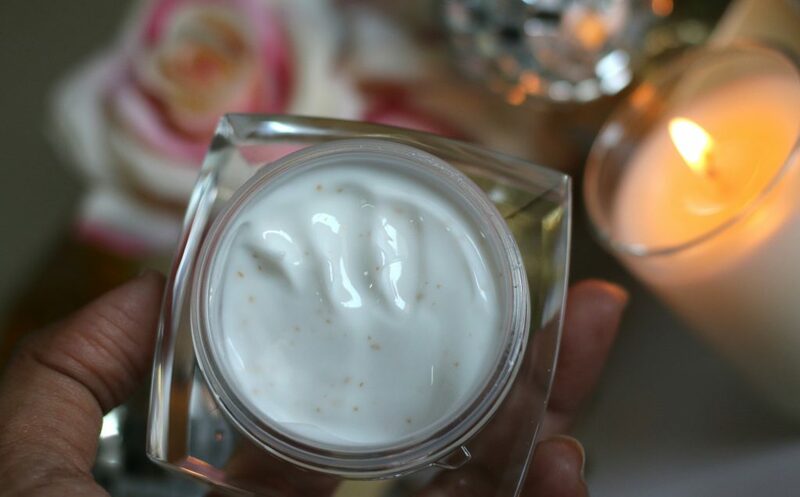 It has a Non-greasy formula and feels hydrating, soft and moisturising on skin. It has SPF 25 and I think it’s a good day wear cream. 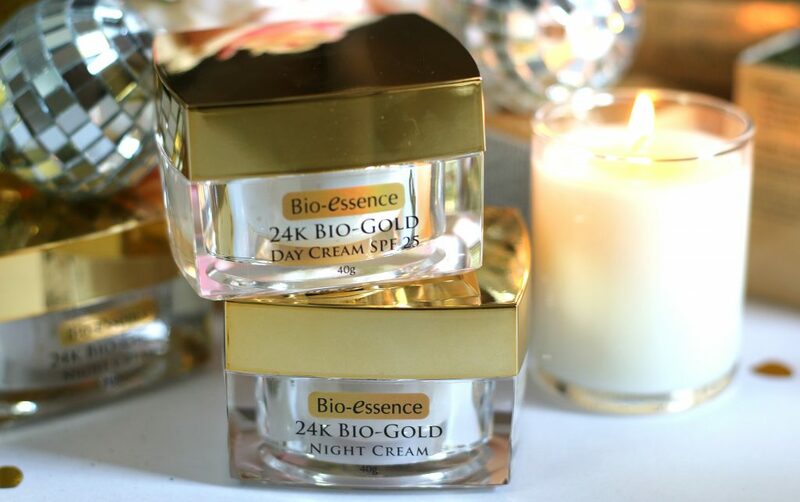 Night cream feels good on the skin. It is not greasy and it hydrates and keep the skin soft for a very long time. 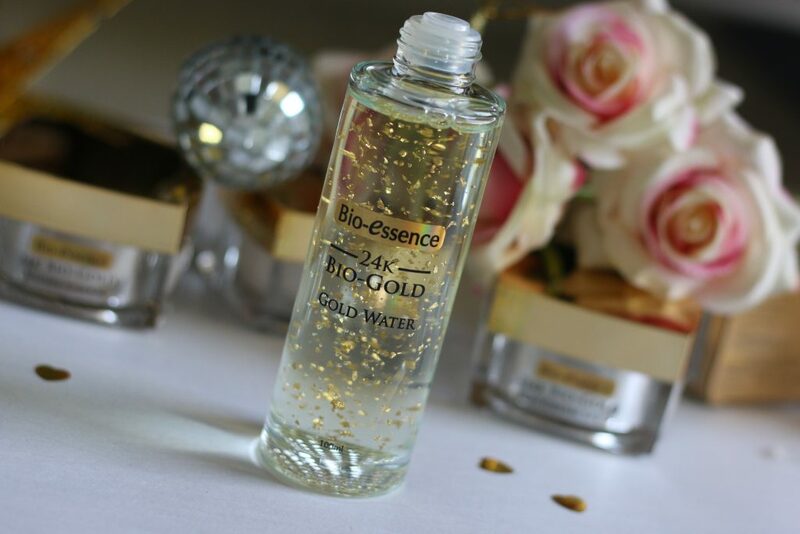 Overall, I think these Bio-essence products that are infused with colloidal gold give you good results if used continuously for a long time. Overtime, each product will reinforce and strengthen weakened and damaged skin, boosting the skin’s natural ability to heal itself for a complexion that is clearer, stronger and more youthful.